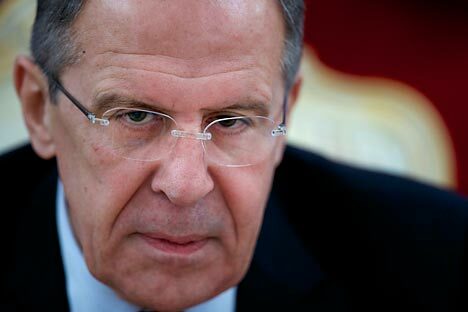 The Syrian National Council has estimated that the time has come to accept Moscow’s invitation for a meaningful dialogue to pick up the threads of the informal contacts that have existed for some time between its functionaries and Russian diplomats. When the protagonists in a conflict agree to meet again within ten days, it is always a good sign that despite all the bitterness that war and destruction is heir to, they find it useful – and necessary – to talk. This is precisely what Russia has been counseling for a long time. Better late than never, as the saying goes. However, Russia’s role has gone beyond that. The report that Ahmad Jarba the head of the Syrian National Coalition [SNC], the umbrella grouping of the ‘moderate’ opposition, could be contemplating a visit to Moscow for talks prior to the resumption of the Geneva II process on February 10 is extremely meaningful. At the very minimum, the SNC has estimated that the time has come to accept the Russian invitation for a meaningful dialogue to pick up the threads of the informal contacts that have existed for some time between its functionaries and Russian diplomats. Certainly, Russia is enjoying an appreciable degree of credibility with the SNC as a constructive interlocutor. And, conceivably, SNC’s principal backers in the Middle East – Saudi Arabia, Qatar and Turkey in particular – would also concur. What lies ahead? One good thing that happened last week at the Geneva talks that once the participants’ grandstanding was over and they began getting down to business, the topic that welled up to the surface was ‘terrorism’. For the first time, on Thursday, the two sides – Syrian government and the opposition – appeared to have agreed that the issue of terrorism needed to be discussed first. Of course, there are differing perceptions of what constitutes terrorism, why terrorism appears and what is a counterstrategy. But the important thing is that despite the combative tone of the posturing until then, the two sides seemed to be mellowing. Which in itself was a good thing, because no one really expected anything substantive to come out of the Geneva conclave otherwise. In sum, simply getting the Syrian parties to sit down facing each other and getting them to talk for the first time has turned out to be an important development. If SNC leader Jarba’s visit to Moscow takes place as expected, Russia could explore ideas about how the issue of terrorism needs to be tackled. There is indeed a heightened awareness today in the international community that Syria’s civil war has fuelled the forces of terrorism and that it is assuming dangerous proportions. The testimony given by the US spy chiefs at the Senate Intelligence Committee hearings in Washington on Wednesday underscored the gravity of the emergent crisis. James Clapper, director of the US national intelligence testified at the hearing, “We estimate, at this point, an excess of 7000 foreign fighters have been attracted from some 50 countries, many of then in Europe and the Mideast.” He said some of them are being trained to return home and conduct attacks. In sum, the talks with the SNC leadership in Moscow, if Jarba’s visit on Tuesday goes ahead, could become a parallel / supplementary track to the Geneva II process. Having said that, the road ahead is going to be long and winding. Even assuming that a common front can be put together to counter the radical al-Qaeda-affiliated groups operating in Syria, the challenge is formidable. In a conservative US assessment, out of an estimated 75000 to 110000 rebel fighters in Syria at present, anywhere between a quarter and one-third could be extremists.